Chronicles of Nushy: [Rant] BayTrail is good but why do they cripple the storage by using eMMC? [Rant] BayTrail is good but why do they cripple the storage by using eMMC? Intel recently released the new iteration to their ultra low power CPUs known as the Intel Atom CPU. The new iteration is called BayTrail. If you didn't know, it's predecessor was CloverTrail which is the one that's available in most Windows 8 tablets. Unfortunately, that's what's in my tablet too. BayTrail comes with a huge performance boost. First, it is a quad core CPU. CloverTrail was a dual core CPU with Hyper-threading support. No Hyper-threading in BayTrail though. And then comes the biggest improvement: out of order execution. This massively increases performance as it lowers the idling caused by I/O (including the cache accesses). Then, there is turbo boost as well. Now it supports DDR3, although the supported speeds are only 1066MHz. A 1.33GHz (1.8GHz boost) BayTrail gives about half the performance of an ULP Core i5 (dual core) CPU running at 1.6GHz. So it is not that bad. It is way faster than CloverTrail. Even the GPU on it is the HD4000 which is only one generation behind the latest Haswell CPUs. Previously, the ATOM SoC was using a 3rd party GPU called PowerVR by Imagination Tech. So, it seems like we have a winner, especially on the tablet front. But there is a big issue. "Storage performance". 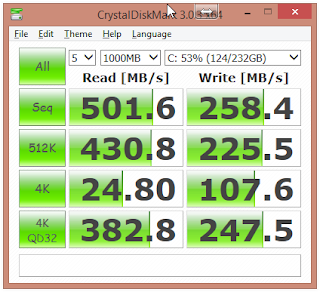 The tablets coming with the BayTrail CPUs are using the slow eMMC storage solution, not SATA based SSDs which you would typically find in PCs. 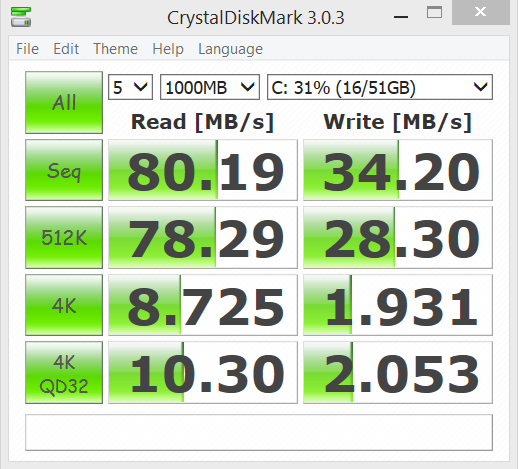 eMMC is still solid state storage, but they are about 10 times slower than modern SSDs. Even though the iPad is also using eMMC, iOS is optimized for ARM platform so much that you don't get much of an issue as you would get when running Windows. 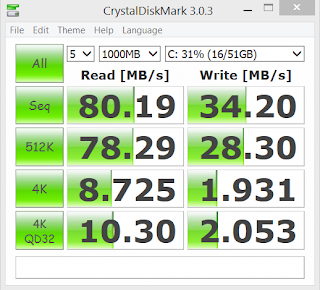 Windows needs a proper SSD. I'm sure the newer eMMC storage is faster than what was offered with the CloverTrail based tablets. (Head down to the bottom of this page for performance numbers of the Asus T100 Transformer Book. Compare with the VivoTab Smart which is a CloverTrail based tablet.) But I doubt the improvements, if any, would be large enough to warrant a pleasant experience on a tablet running Windows 8.1. For example, last night I checked the CPU usage of my tablet while doing a lot of things. Even though the CPU usage didn't go past 50%, it still felt sluggish. Installing GIMP took so long that I let it install and went to sleep. 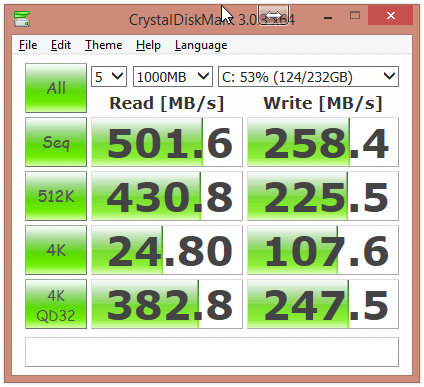 Just for reference, check out how the eMMC storage solution in my tablet performs compared to the Samsung 840 series SSD on my desktop PC. What a difference! Especially when it comes to small files. I'm sure, even with the CloverTrail CPU inside my tablet, if it could be equipped with a decent SSD, I won't notice how slow the CPU is.